Detailed Repair Order Forms GEN6583 At Print EZ. Detailed Repair Order Forms Item No. Size: 3" x 13/16"
Detailed Repair Order Forms Item No. 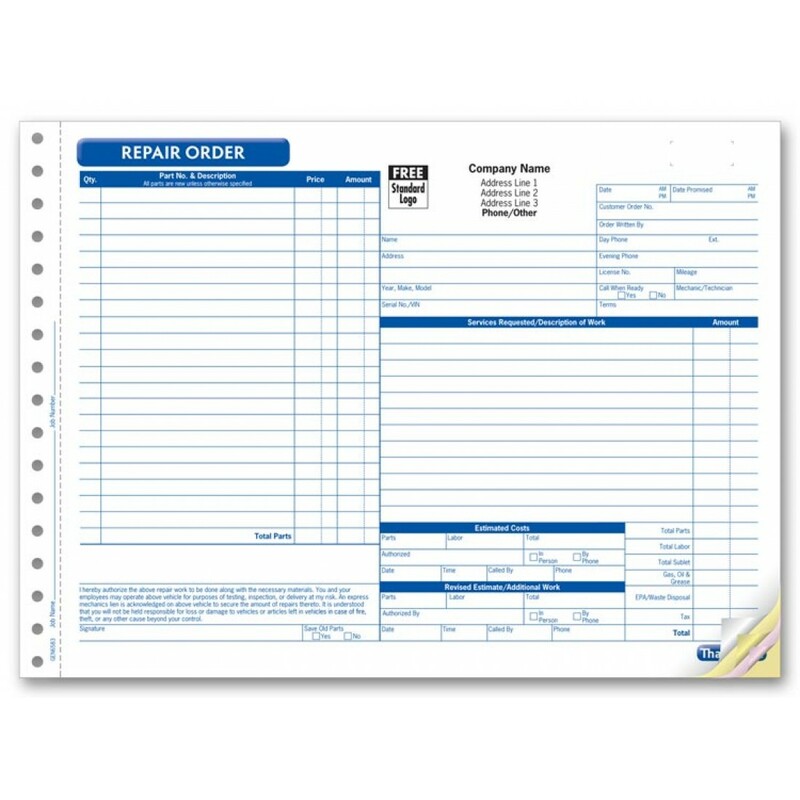 These detailed repair order forms are the ideal solution for your business. They will help to cover all the relevant information regarding the repair in question, while at the same time maintaining a comprehensive layout. Right from the parts used in the repair to the special instructions that need to be listed down, you can do it all on this one form. The payments and tax can also be listed out clearly, thus helping the data entry team speed up their work. Available in snapset format, these forms take no time to file and referencing is fairly simple too. The consecutive number facility will help you locate a form copy in no time and sort out the matter instantly.